As of this moment, I have seen the first four episodes of Twin Peaks: The Return. These episodes have been tremendously Lynchian. David Lynch has a distinct flare about what he does and this new Twin Peaks is apologetically David Lynch. It’s weird, wild and bizarre. The first two episodes, which I saw last Sunday, were really dark and weird. They were extremely violent and, even shocking at times. The next two episodes were made available after that, and will be shown on Showtime tonight. These next two episodes are more like the old Twin Peaks. The oddball humor was back (Agent Cooper as “Mr. Jackpot”) and we saw David Lynch as Gordon Cole. 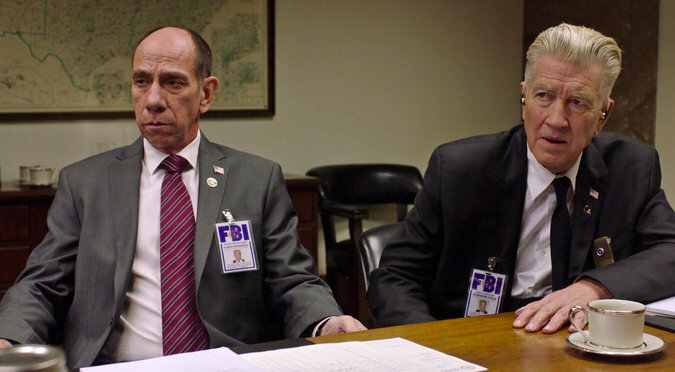 We also saw the late great Miguel Ferrer as Albert. David Duchovny returned as Denise Bryson. Meanwhile, Agent Cooper is finally out of the White Lodge, but it seems like the experience has caused some confusion for him. The doppelganger is also here and in prison, being interviewed by Cole and Albert in a seriously creepy scene. 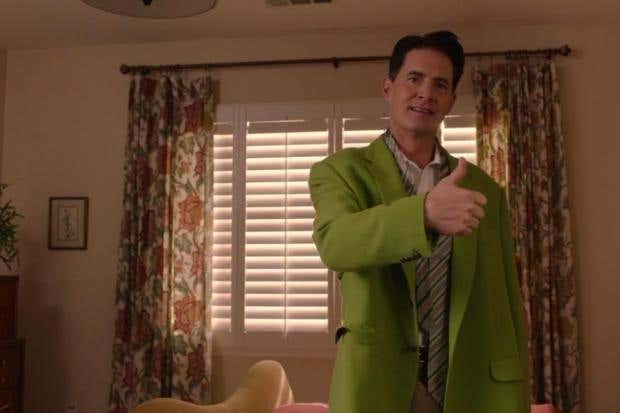 The new Twin Peaks is doing a good job of combining the new with the nostalgic (We saw Bobby Briggs). I think the show is really going to take off soon. General Hospital had its annual Nurses’ Ball this past week. For years, the storyline nurses of GH get together and perform a one night talent show to raise money for AIDS/HIV research. Lucy Coe is always the emcee and they have had some really fun musical numbers over the years. This year’s Nurses’ Ball felt a little too manufactured, but they had some decent musical acts. 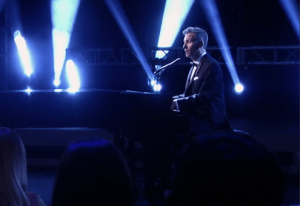 Valentin Cassadine sang Billy Joel’s “So It Goes.” Ned Quartermaine and Olivia performed “Faith” by George Michael and Dillion Quartermaine did a David Bowie sone, “Modern Love.” The show ended with “Hallelujah” sung by the nurses. More musical news… Lip Sync Battle had a great episode this week as the four boys from Stranger Things competed. Normally, the format of the show is two celebrities performing two songs, but this time we had four celebs doing one song each. 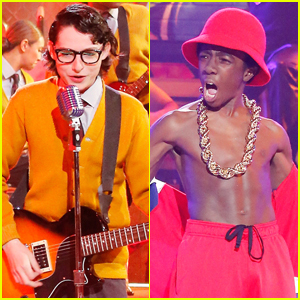 Gaten Matarazzo, Caleb McLaughlin, Finn Wolfhard, and Noah Schnapp all pulled out the stops for the episode, but Caleb McLaughlin came away with the show title after he performed I’m Bad,” a song originally performed by Lip Sync Battle host L.L. Cool J.
Fargo pulled out a serious surprise this week as, after a confrontation between brothers, Ray wound up dead, bleeding out from a glass wound to the neck, caused, accidentally, by his brother Emmett. It was a seriously dramatic moment for the series, which as truly picked up over the last few weeks. I had begun to feel for Ray and I was getting behind him as the main hero of the story, despite basically being behind some of the early episode shenanigans. His death was tough to watch and Emmett’s reaction was very well done. Ewan McGregor is bringing some great work here. I watched the premiere episode of “I’m Dying Up Here,” the new stand-up comic show that follows a group of comedians during the late 70’s in the comedy clubs. Now, I was not blown away by this, but I have to say, I was watching it Sunday morning while I was still a little tired so I dozed through much of it. It also had a surprise death (this one being death by bus—one of LOST’s favorite techniques). The series is produced by Jim Carrey, so it will be interesting to see where this goes from here. The atmosphere was perfectly rendered. American Gods was all flashback this week, showing us how Shadow’s dead wife, Laura Moon (née McCabe) wound up sitting in Shadow’s room, waiting for him. It had some very funny moments, but it was missing the presence of Mr. Wednesday. It did give us all the back story we needed to know about Laura and her relationship with her “puppy,” Shadow. Gotham continues to have an exceptionally excellent season three as we are in full race to head to the showdown with the Court of Owls. This episode brought us back with The Judge, as well as saw a tentative truce between Riddler and Penguin. The off beat relationship between Oswald and Edward is one of the season’s biggest successes, so I was glad to see them working together once again, no matter how temporary it would be. We are also moving closer to the creation of one Dark Knight in the world of Gotham as Bruce Wayne is being “trained” by the mysterious man who may (or may not) be Ra’s al Ghul. I caught back up with the last three episodes of Speechless on ABC this week. The show is charming and really shows one of the most supportive families on TV. The DiMeo clan have all kinds of negative qualities about them, but they really love one another. The first season has shown some great growth for these characters, and dealt with the disability of JJ in a real and non-cliched manner. Ray is a breakout character and Maya is the tornado mother that we all wish we had. That mother that would have your back no matter what. Minnie Driver is brilliant here and I hope she gets recognized for the season. Micah Fowler, as JJ DiMeo, is exceptional as the young boy with cerebral pulsey. He emotes as much as any of the actors in the show and he has great chemistry with Kenneth. This is an enjoyable half hour show with more heart than you would expect. Next week sees the return of House of Cards on Tuesday as well as Whose Line is it Anyway on Monday.